This was a lot of fun to make! I had stocked up on some “Tea Time Trinkets” back in the spring when they were in the Spring Catalog. Unfortunately they are retired, I am going to try to find some from other demonstrators and will even call Stampin’ Up! to see if they have any left because I am offering this class again! that’s right. 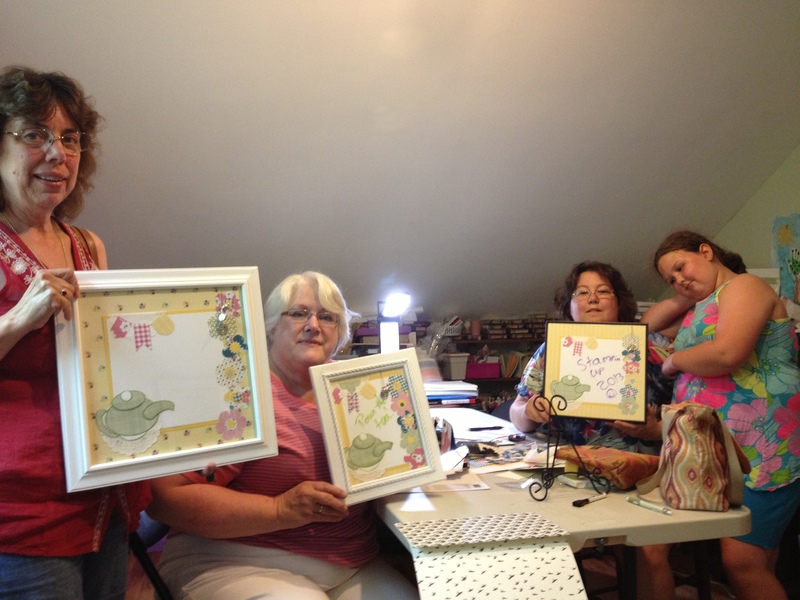 I had 6 friends who couldn’t make it tonight, so I have planned to offer another Gingham Garden Tea Time Dry Erase Board Class.We are trying to pick the right day in August- let me know if you’d like to come too! 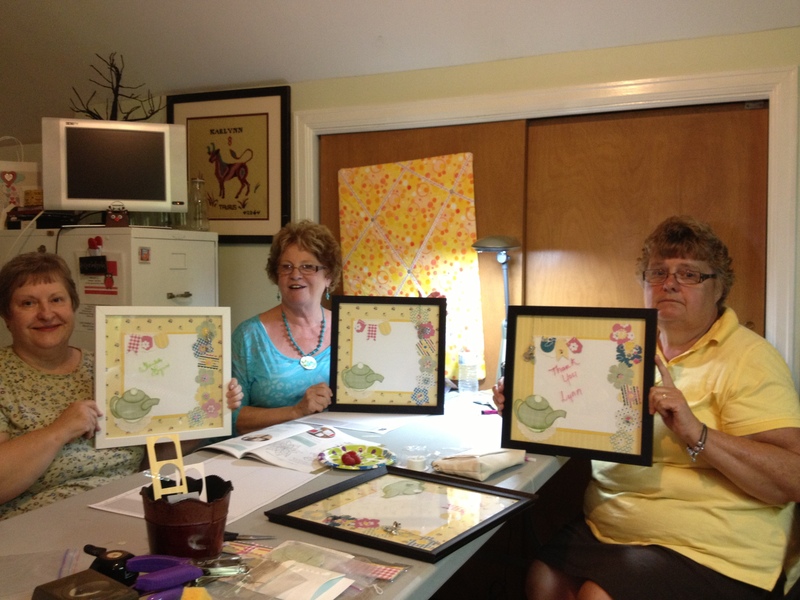 This is a $15 class, you bring your own 12 x 12 frame, scissors and snail adhesive. 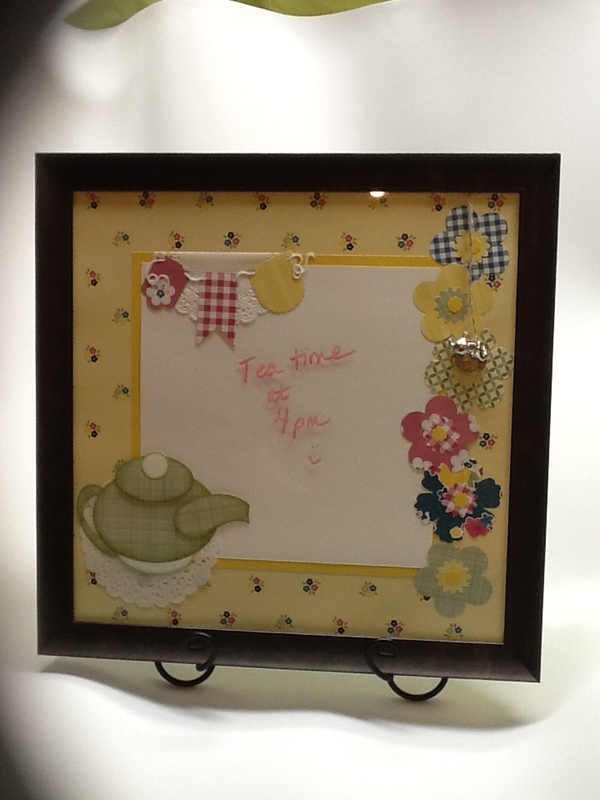 Let me know if you’d like to make one of these darling dry erase boards, makes a great gift!